Auroville was born on 28 February 1968. Its founder, the Mother, created the Auroville Charter consisting of four main ideas which underpinned her vision for Auroville. Aurovilians apply the ideas of the Auroville Charter in their daily life, in policy-development, and decisions, big and small. The Charter thus forms an omnipresent referent that silently guides the people who choose to live and work for Auroville. Auroville belongs to nobody in particular. Auroville belongs to humanity as a whole. But, to live in Auroville, one must be a willing servitor of the divine consciousness. Auroville will be the place of an unending education, of constant progress, and a youth that never ages. Auroville wants to be the bridge between the past and the future. Taking advantage of all discoveries from without and from within, Auroville will boldly spring towards future realisations. During the Auroville inauguration in 1968, youth from 124 different nations and 23 Indian states, deposited a handful of their native soil into the Urn, a marble clad structure in the form of a symbolic lotus bud, located in the centre of the Amphitheatre. The Auroville Charter – handwritten in French by the Mother – rests along with this soil, sealed in the Urn, as a powerful message and promise. The Matrimandir can be viewed as a large golden sphere which seems to be emerging out of the earth, symbolising the birth of a new consciousness. Since the past 45 years, Matrimandir’s slow and steady progress towards completion has been followed by many. While walking through the beautiful Matrimandir Gardens (divided into 12 individually named parks such as “Harmony”, “Bliss”, Perfection” each with their variety of flowers, shrubs and trees, one’s attention is greatly drawn by this important and powerful feature at the heart of the city which was seen by the Mother as the “symbol of the Divine’s answer to man’s aspiration for perfection” and as “the central cohesive force” for the growth of Auroville. The name ‘Matrimandir’ means literally ‘Temple of the Mother’. According to Sri Aurobindo’s teaching, the ‘Mother’ concept stands for the great evolutionary, conscious and intelligent principle of Life, the Universal Mother, – which seeks to help humanity move beyond its present limitations into the next stage of its evolutionary adventure, the supramental consciousness. The spacious Inner Chamber in the upper hemisphere of the Matrimandir is completely white, with white marble walls and deep, white carpeting. In the centre sits a pure crystal-glass globe which suffuses a ray of electronically guided sunlight that falls on it through an opening at the apex of the sphere. This luminescent globe radiates natural lighting in the Inner Chamber. The Inner Chamber is devoid of images, organised meditations, flowers, incense, religion or religious forms. “Let it not become a religion”, the Mother said. “The failure of religions is… because they were divided. They wanted people to be religious to the exclusion of other religions, and every branch of knowledge has been a failure because it has been exclusive. What the new consciousness wants (it is on this that it insists) is: no more divisions. My journey to Auroville began in Rome fourteen years ago. I was invited to visit this stunningly beautiful city with some close friends of mine from the UK. I was overwhelmed by their generosity and did not hesitate to take my friends up on their generous invitation. Whilst in Rome my friends and I became friends with the hotel’s barman, Salvo. I spent quite some time getting to know Salvo during my stay at the hotel. Salvo is a deeply spiritual man whom I had a strong connection with. When I returned to Australia, we lost contact until 11 years later when he tried to contact me via skype. Initially I didn’t answer his calls as I thought that he was some random man. When I realized who he was, we began chatting and he eventually convinced me to come to Auroville in Pondicherry, India. How could a girl resist visiting their namesake community, Auroville, city of Dawn. India was one of those places that I said that I will never go to. My new motto is never say never! Arriving at Chennai from Perth to Hong Kong, it was a bit of a shock. I was picked up in the middle of the night by a driver organised by Salvo’s brother. The drive was rather interesting, there was an organised chaos about the place, cows and dogs wandering the street and in most cases there was less wandering and more resting. The driver seems very relaxed about weaving around the animals on the road. Auroville was a lovely introduction to India, especially for the inexperienced traveller. Auroville didn’t feel like India, it felt more like Australia. I was informed that many of the trees planted in Auroville are native to Australia as they are fast growing and hardy. Auroville had a neutrality about it, with red dirt roads and a sense of isolation from chaotic and crazy India that I had seen. It was lovely to reconnect with Salvo, I was able to spend some time with his family. My first introduction to general transportation in Auroville was on the back of a motorbike with three other people. It was quite the initiation. After a week, this became my new norm! Auroville was interesting in the way that it felt like the united nations. I was staying with a small community of italians, and there were many other like it but with different nationalities. I never expected my introduction to India would be in mini italy. There was a strong emphasis on service to community amongst the Aurovillians. The term Karma Yoga was used in regards to service and working together with your community. Yoga literally means union. I really loved the emphasis on contribution. 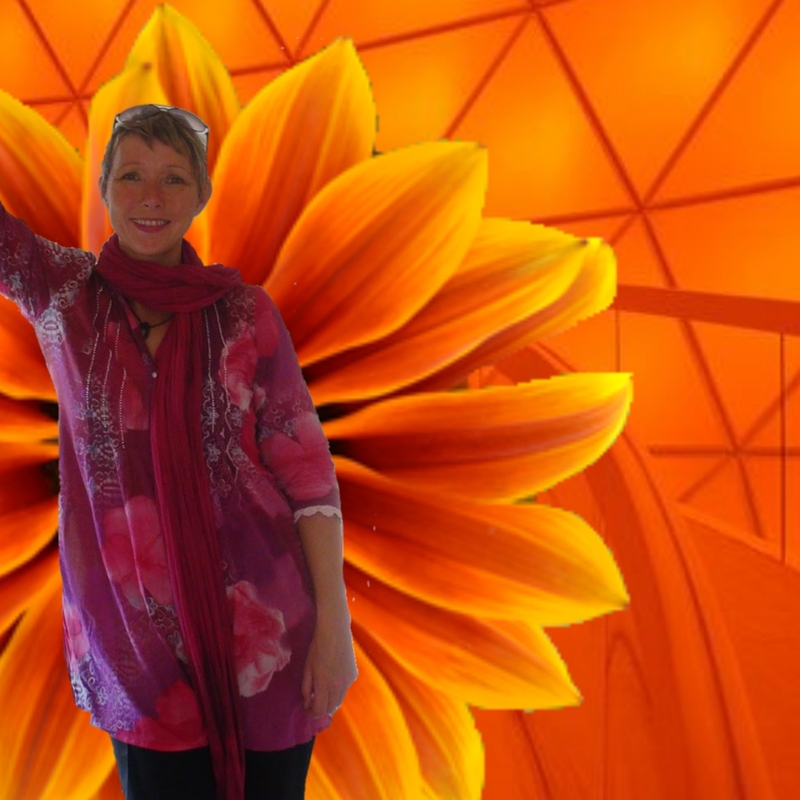 I was very fortunate to have been able to spend some time in the Matrimandir, meditating. I needed to complete a short information session on the rules and background of the Matrimandir. I recommend spending at least several days in Auroville if you are wanting to meditate in the main chamber of the Matrimandir. Besides, it takes a while to settle into how things operate in Auroville. You cannot use cash money, you need to set up an account with the main office in Auroville. For me the Matrimandir is one of the most significant and beautiful places I have ever been. It is an experience that I will never forget and would like to return to. It felt like home. The architecture is futuristic and I would go as far as to liken the experience to entering a space ship. There is a strong focus on sacred geometry and the sacredness of the space will stay with me forever. I highly recommend visiting this amazing and unique commune. It is quite a tricky place to navigate if you do not have someone to support and assist you integrate. So do your research and connect with a community who can support you through your Aurovillian experience.